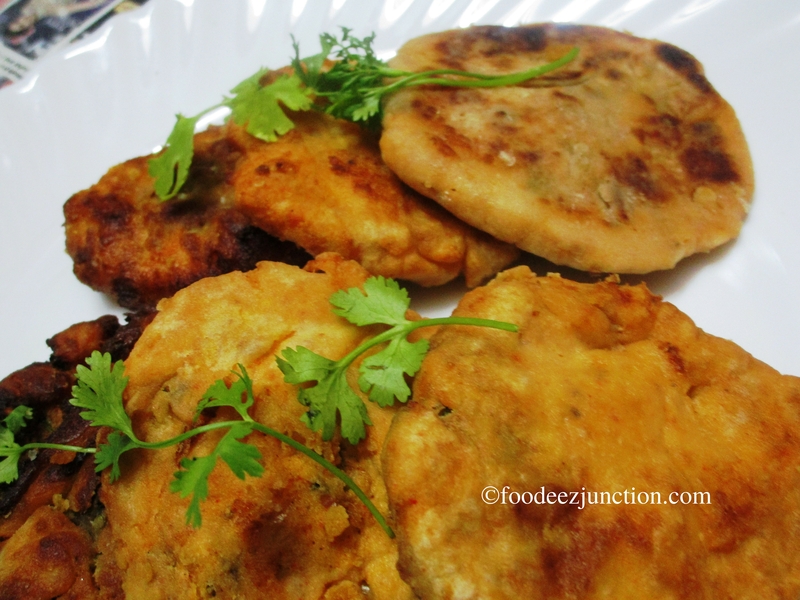 Dahi Ke Kebab is just the cuisine you would want to have in snacks, again and again! This recipe for Dahi ke Kebab is easy and beware you are going to ask for more! Happy eating! I had Dahi ke Kebab at Sahib Sind Sultan, Hyderabad, in starters and at the very moment I fell in love with these veg Kababs. They were so yummy that I ordered one more plate! And no sooner I got the table the next time at this restaurant, I again ordered Dahi ke Kabab. I, absolutely, loved this melt-in-mouth vegetarian Kebab. And at my own risk tried the recipe at home, which turned out to be awesome! I had tried making this both the ways – by deep frying and by shallow frying. Though I loved the taste of deep fried Kababs more, the Dahi ke Kabab recipe usually involves shallow frying. 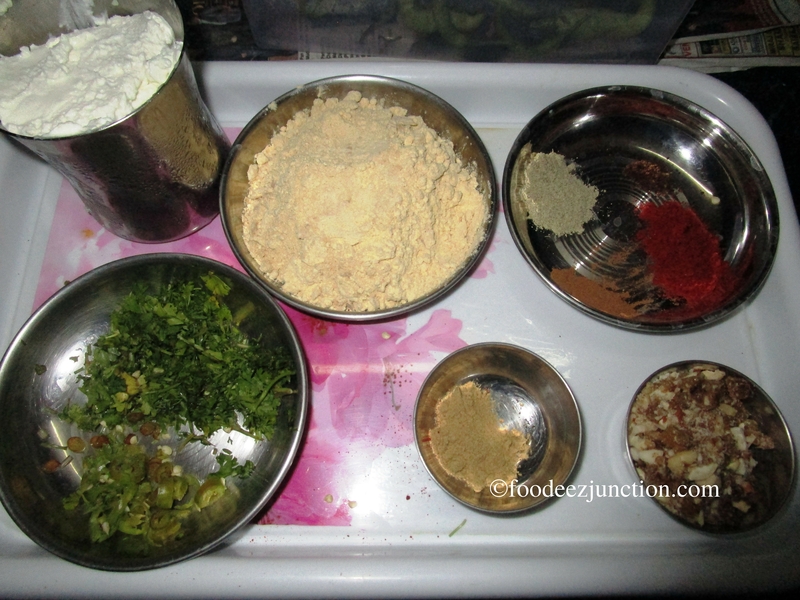 The main ingredients for Dahi ke Kabab are the hung curd, roasted chana powder (gram flour or besan), coriander and dry fruits. So, Kebab lovers, let’s learn how to make Dahi ke Kabab with this easy recipe. In a bowl, mix all the ingredients for stuffing. Later, add 2 tsp full curd paste, we are making below. Mix again. You can take finely chopped ginger, if you don’t have ginger powder or saunth at home. Take another mixing bowl, add the hung curd, 2 tbsp roasted besan and mix it. Now add kashmiri mirch powder, elaichi, cloves and cinnamon powders and salt. Mix very well. If needed add 1 tbsp besan more and mix well again. Take a medium size portion from the curd paste. Make an incision with your fingers at the centre of the portion and fill it with a small portion of stuffing. Cover the stuffing with very light hands. Now, give it a shape of kabab or patty. You can apply some refined oil on your palm and fingers and then make patty, the paste won’t stick much in your hands. Dust this raw Dahi ka Kabab in maida or all-purpose flour and keep aside. Repeat the process to make more Dahi ke Kebabs. Once done, take a pan, pour oil and heat it on high flame. When the oil is hot, deep or shallow fry the kababs one by one in the oil till golden. Garnish with coriander leaves and serve Dahi ke Kabab with any chutney you like or just have as it is. Dahi ke Kababs are just awesome in taste. Agree or Not? Thanks Nisha. I’m glad you liked it 🙂 Let me know your experiences too when you try. Looks yummy! I am definitely going to try this! So different from the usual kebab recipes!